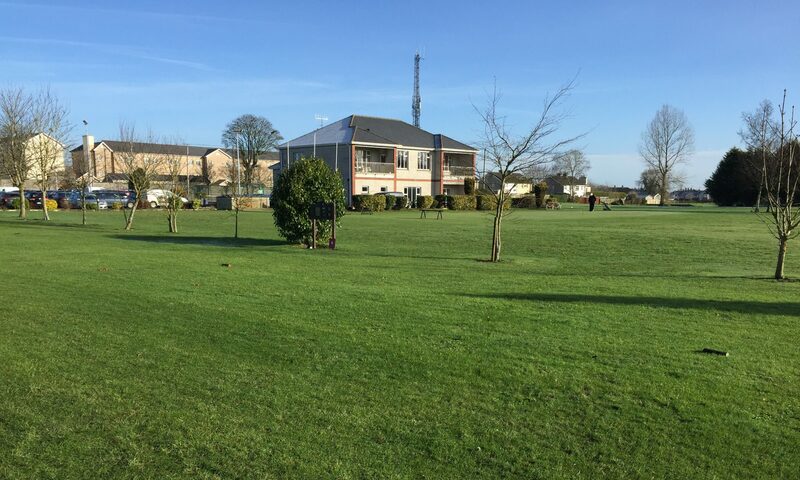 Captains Drive-in; The Captains Drive-in has been cancelled due to the bereavement of Pat Joe Stapleton and the serious bad weather conditions. Bereavement; Patrick (Pat Joe) Stapleton, Laha, Castleiney, Templemore, Co. Tipperary, in his 96th year, 11th of February, 2018. Husband of the late Nora. Deeply regretted by his loving family, Paddy, Jerry, Eddie, Kathleen and Josie, sons in law, daughters in law, grandchildren, great grandchildren, sisters in law Carmel and Sheila, nephews, nieces, neighbours, relatives and friends. Open 9 Hole Competition; The 9hole S/Ford Open competition will continue until further notice. Come in and play at any-time that suits you and you will be guaranteed a game. Fee; €5. Re-entry €3. All are welcome. New Rule; Entries to this competition can be included for H/C adjustments. Spring League is now ready to start; Get your name onto the list now to avoid any delay on the start of the league. Lotto; The committee have agreed to commence a “Half & Half” 50/50 Lotto as soon as possible. Full support by all members will be required to make this Lotto a great success. All funds will be for the development of the course, the replacement and purchase of new machinery that will improve our course conditions. Seniors Thursday 8th. Feb; There was a great turnout last Thursday 8th. Feb. despite some inclement weather, however this did not deter the faithful from competing. Best wisher were expressed to Captain Tommy Foley and Sara Hearne and to both Presidents Phillip Ryan Snr. and Bernie Stapleton on their drive-in this Sunday to open the season. Also best wished were expressed and a speedy recovery to John Stapleton (The Saint) who is extremely missed from the club. Seniors Winners; The winners on Thursday 8th were; 1st Team; Ambrose Purcell, Pat Costello, Mick Carey, Ollie Murray. 2nd. Team; Mick Murphy, Pascal Whelan, Tom Kennedy, Pat O’Connell. 3rd. Team; Bertie Keane, Phil Ryan, John Galvin, Pat Maher. €10 Draw; Pat O’Connell. Course Volunteer Work; Volunteers are now required especially on the bunkers. To remove the winter look off them by raking and weeding. “Just call in and get on with the work”.